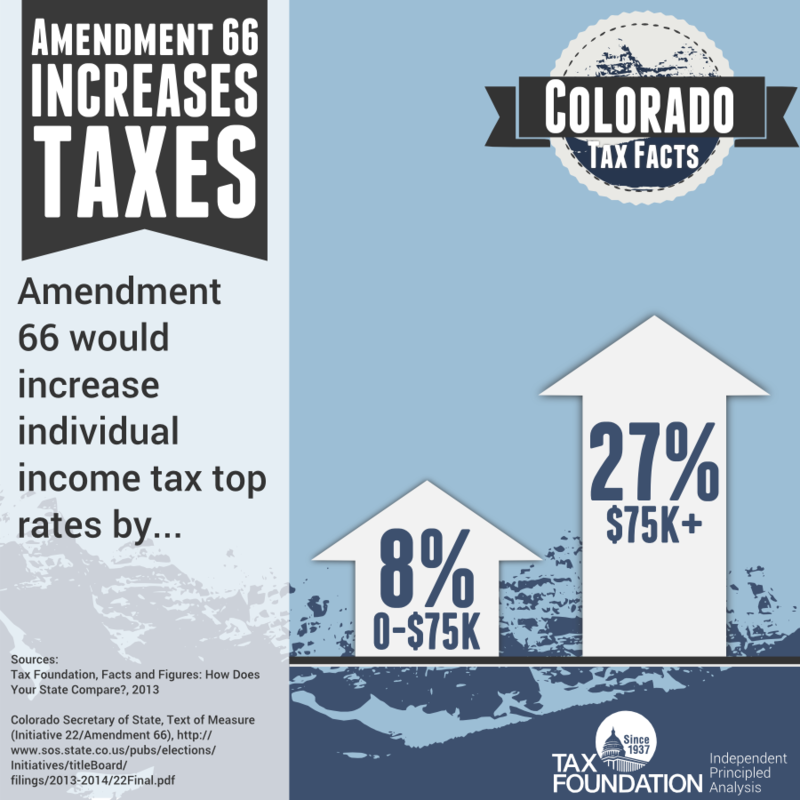 Tomorrow, Colorado voters will decide on Amendment 66, which would move Colorado from one of the eight states with a single-rate individual income tax to one that has a graduated rate structure. Currently, the state’s income tax rate is 4.63 percent on all income levels. Amendment 66 would increase the tax rate on income less than $75,000 to 5.0 percent, while taxing income above $75,000 at 5.9 percent. Coloradans of all incomes would see a rate increase. Those with taxable income below $75,000 would see an 8 percent increase in rate. Coloradoans with more than $75,000 in taxable income would see a 27 percent increase in their top rate. According to the IRS, over 37 percent of Coloradans have an adjusted gross income of less than $25,000. A family earning this amount would pay an estimated $31.08 in additional taxes, which is equivalent to the average cost of feeding a one-year-old child a healthy diet for one week. Higher individual income taxes would further reduce the take-home pay of low- and middle-income Coloradans, adding a second round of austerity to already cash-strapped households.